Scotland is rightly known throughout the world as the home of golf. The country with the richest history and tradition for the game, it remains at the heart of the sport. In fact, we know golf has been played in Scotland from the early 15th Century, as an Act of the Scottish Parliament in 1457 actually banned the playing of the game as the citizens were spending too much time on their favourite pastime! Despite this the game flourished and the number and quality of the golf courses in Scotland are testimony to the tradition continuing to this day. Scotland boasts seven courses to have hosted the Open Championship with the first being played over the links of Prestwick in 1860 and since then St Andrews, Musselburgh Old, Muirfield, Royal Troon, Carnoustie and Turnberry have hosted the Championship on many occasions. The course that has hosted the most Open Championships is of course the Old Course at St Andrews, truly the Home of Golf in the country that brought us the game. Tiger Woods said "To win at St Andrews is the ultimate", and a pilgrimage to St Andrews is a must for anybody who loves the game. Playing the Old Course is many golfers dream and those teeing off in front of the Royal & Ancient Clubhouse will not be disappointed. 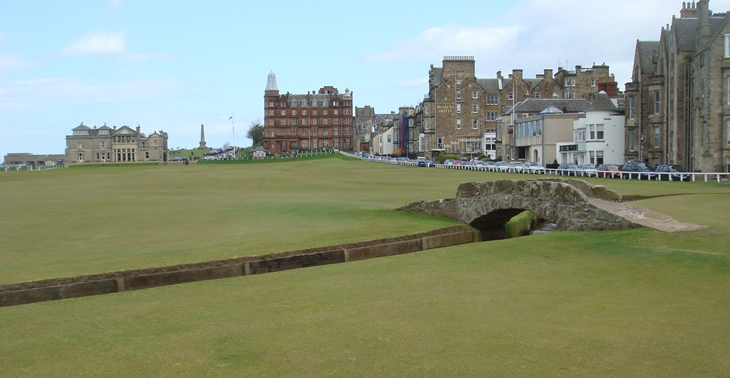 St. Andrews does not end with the Old Course however. The New Course is a fine test of golf, laid out by Old Tom Morris and opened in 1895, is considered by many to be a sterner test of the game than it's illustrious neighbour. A more recent addition to the St. Andrews links portfolio is the Castle Course perched on the cliffs to the south-east of the town. Scotland is not just about the famous Open Championship links however, with the country boasting hundreds of fine courses of all types. 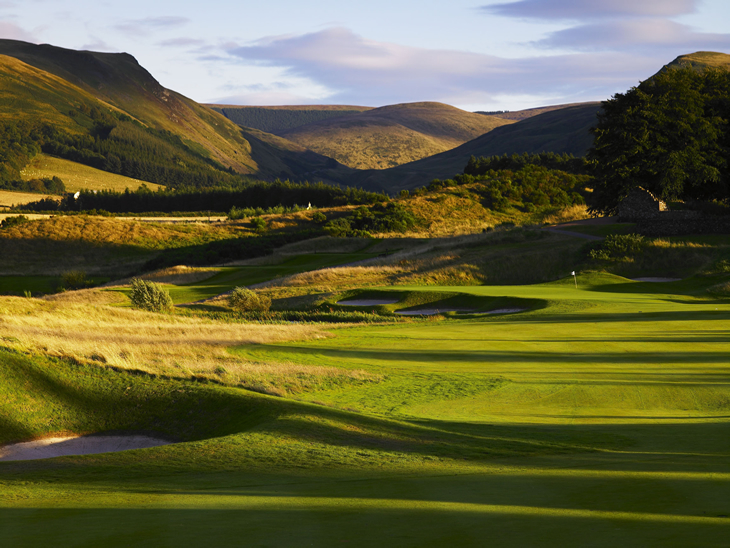 Play the classic heathland courses at Blairgowrie or Gleneagles which hosts the 2014 Ryder Cup on the PGA Centenary Course, or try and get a game one of the many great parkland or links courses that are all around Scotland. Visitors to the historic capital of Edinburgh can make the short trip to East Lothian that offers a feast of links golf. Heading out of town history buffs should stop at Musselburgh Links that first hosted the Open in 1874 before continuing to the town of Gullane that boasts Luffness, the three fine courses of Gullane Golf Club as well as the storied links of The Honourable Company of Edinburgh Golfers at Muirfield. These classic courses are joined by the new kids on the block at Archerfield and Renaissance, venues that are sure to become firm favourites, whilst further down the coast are the famed West Links at North Berwick, whose famed Redan hole has been copied on courses across the globe as well as the excellent links at Dunbar Golf Club. Over on the west coast the Ayrshire links golf courses include many hidden gems amongst the fabled championship courses. 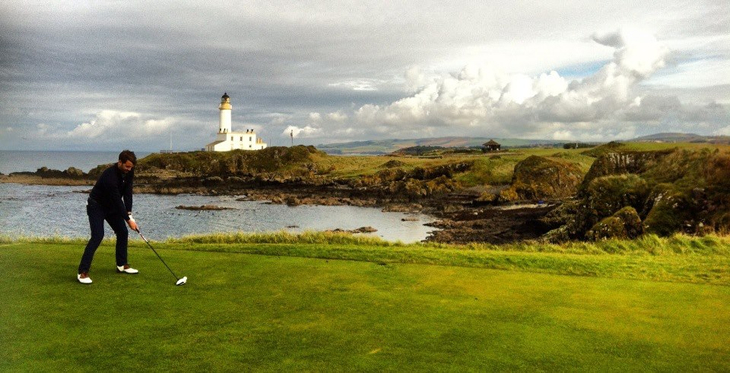 Whilst Turnberry and Royal Troon grab the headlines the coastline is dotted with other great tests of golf. The links of Western Gailes, Glasgow Gailes, West Kilbride and Irvine Bogside would grace any itinerary whilst championship parkland golf can be found at Brunston Castle and a trip to the Isle of Arran can be rewarded with a game over the heathland of Lamlash Golf Club. Often overlooked by visiting golfers the North East of the country is home to some fabulous golf and with the publicity generated by the opening of the Trump International Golf Links in 2012, Aberdeenshire is very much back on the map. The classic links of Royal Aberdeen, Murcar and Cruden Bay justify the journey north and rightly feature amongst many players favourite layouts countrywide. Heading north through whisky country golfers can take in the stunning highland scenery at Boat of Garten or Spey Valley before emerging to the Moray Firth and more examples of classic links golf. The Old Course at Moray Golf Club and the Black Isle’s Fortrose & Rosemarkie are typically idiosyncratic layouts laid out by Old Tom Morris. Old Tom would have approved of the Castle Stuart Golf Links outside Inverness that is destined to become one of Scotland’s classic courses and a worthy neighbour to Nairn Golf Club. The far north boasts the exclusive links of Skibo Castle, traditional tests at Brora and Golspie as well as the world famous Royal Dornoch Golf Course, the favourite Scottish test of five time Open Champion Tom Watson. Although when talking about Scottish golf courses, those mentioned above sometimes grab the headlines, the greatest impression left of golf in Scotland is the wide variety of different styles available for golfers to play, the warmth of the welcome and the locals love for their national game!